Here we go with another post on one of my favorite mom apps. In actuality, it's not just for moms, anyone can use it, but it really helps busy moms who sometimes forget the little things. Have you ever walked into your house and happen to glance at your picture frames only to find that the last time you updated your pictures was like a year ago and no one looks like that anymore? Who has time to download all their photos from their phone and order prints, or go to Walgreens and have your photos printed. More importantly, who remembers to actually do it? 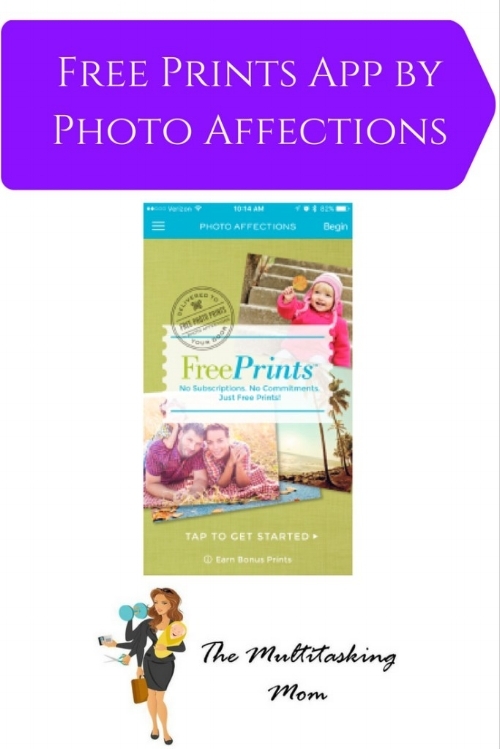 Free Prints is a free app created by Photo Affections which you can download right to your phone. Through this app you can download photos from your camera roll, Facebook, Instagram, Dropbox, Google, Yahoo, and more. You can then order holiday cards or prints delivered directly to your door! Awesome right!? Now you don't have to spend time downloading pictures to your computer and sit there and order prints or go to the pharmacy and wait for your photos to print. Instead you can place an order while waiting for the bus or waiting for your kid to get out of dance class. All you need is your phone and a minute or 2 to make your selections. While that's great in and of itself, you still haven't heard the best part. Every month, you get 85 4x6 prints free. That's right, 12 times a year you can select 85 pictures and have them printed for free. That's 1020 free prints a year. All you have to do is pay shipping. If you want to order more than 85 prints, you just pay the cost of the additional prints. I love this app because I now have prints to use for scrap-booking and to fill my picture frames. I just set a reminder in my phone for one day a month to place my order so I don't miss out on the free prints. The picture quality is excellent and I have never had an issue with quality or delivery. P.S. If you are looking for an easy way to display your photos, check out my review of Mixtiles!